Last year when I publicly announced that I am a Brand Evangelist at Bannersnack, a lot of people were confused and asked what that term means. Since then I’ve been asked hundreds of times what Brand Evangelist means and what exactly do I do at Bannersnack. But before really getting into what the concept of “evangelism marketing” means and what the role of an evangelist is in a company, I’d like to define the term “evangelism,” where does it comes from, who used it first in terms of business and how can it be used in a company. The word “Evangelism” comes from the term “Evangel” (Gospel) which is translated from Greek and means “the good news”. Therefore, “evangelism” is translated as the action of “bringing the good news”. Although its roots are Christian, this does not mean that other industries (particularly business/economic) can’t use the significance of this term. When you convince people to believe in your dream as much as you do. The first man who appropriated the term “Evangelist” was Guy Kawasaki, who in 1984 had the role of evangelizing (and protecting) the Macintosh product to as many people as possible. Some call him “the grand father of evangelism”. Today, he has the role of evangelist at Canva and is one of the most prolific authors, speakers and influencers in social media. Being inspired by Guy’s article, I drew an infographic to help this term be more understood by the entire community. But let’s go on with our discussion on Evangelism Marketing. For some people “evangelism marketing” means a combination of jobs from marketing, social media, PR, customer service, sales, etc. Of course, they could be right, but the reality is that having a role of “evangelist” doesn’t stop at 8-10-12 hours of work. We could instead say that “Evangelist” is more than a job, it’s simply a lifestyle. Because, after all, the purpose of an “evangelist” is to make a better world through the product/service that they evangelize. You cannot stop evangelizing your brand at 5-6 days per week. A good evangelist will always see an opportunity in telling the good news to those around him. Of course, that doesn’t mean they have to be so obsessed as to only talk about that brand. A successful evangelist will always have another passion besides his role with the brand. For example, Guy Kawasaki is a huge hockey fan, I like basketball and mobile phone photography and Richard Branson likes extreme sports. There are evangelists who are appointed directly in this role: to share the good news of the brand that they represent. I mentioned Guy Kawasaki above, but there are other companies that have their own people in this role. For example, at Google we have Peter Juszczynski as Brand Evangelist or at Microsoft we have Tech. Evangelist Amy Kate Nicholson. And then there are evangelists who represent the company from a personal and subjective perspective- here we could name Elon Musk, who is the most important evangelist for the Tesla brand, Richard Branson- the most extravagant Evangelist of the Virgin brand and their global image. In addition, an evangelist’s mission does not stop at the company’s mission. 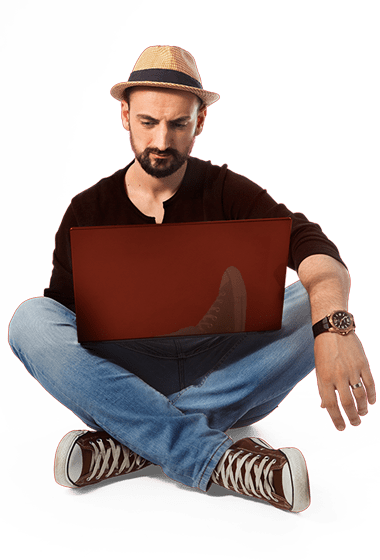 They can be the evangelist of a whole concept or even industry- like Joe Pulizzi, the evangelist of content marketing or Gary Vaynerchuk, who evangelizes social media and the concept of “Hustler” in a personal way. We can include here the clients that promote the product and brand that they love so much. For example, Apple has managed to grow a community of evangelists so large that they not only buy the product but they pride themselves with it to everyone around them. Another example that comes to mind are the people from Instagram. They were able to create a beautiful community that successfully represents teh app, a community whose members are unofficial Instagram ambassadors due to their passion for Visual communication, thus inspiring others as well. Today, more than ever, anyone can be an evangelist of a company, an industry or a brand. Whether we’re talking about evangelism through behavior (see Apple customers who are internationally renowned for this), whether we talk about evangelism through social media networks (because today we can talk to thousands of people directly via social media channels) or even through content uploaded on a blog or other publishing platforms. When you have a quality product/service, evangelization will bear fruit, and the product will improve the user’s life. The key to successful evangelism strategies lies in the quality of the brand. At Bannersnack we fight every day to improve our customers’ work through the various features we launch: Banner Score (an artificial intelligence that helps you create quality banners), Bannersnack Photoshop plugin (a plugin that helps you export your banners from Photoshop to Bannersnack), Embed Options (the opportunity to put your banners on your site anywhere you want, just with a simple copy/paste of the code) and other new options that we will soon release. Why do we do all this? For our clients and our future clients who want to optimize their work and be the best, both in relation to their customers, as well as in relation to the competition. A brand ambassador is not an evangelist. If the role of a marketer is to bring the customer into the store, a seller’s role is to sell the product, a brand ambassador’s role is making the brand known through various promotional strategies, then an evangelist’s role is to come up with a solution (“the good news”) to a problem encountered by those around him. Lately, a brand ambassador’s role rose up to the level of celebrity branding which, from my own perspective, is a short-term, limited strategy, sometimes with a strong impact but with a high level of risk. 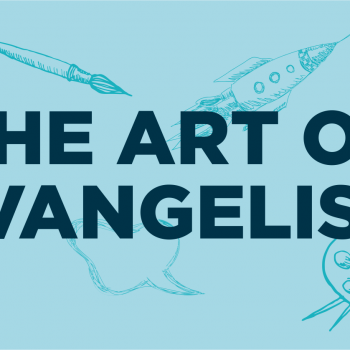 The concept of evangelism marketing should be present in all companies that want to do a lot more than sell. Next time we’ll “talk” more about what an evangelist is in a company and what should their goal be. Evangelism Marketing is not a job, it’s a lifestyle. 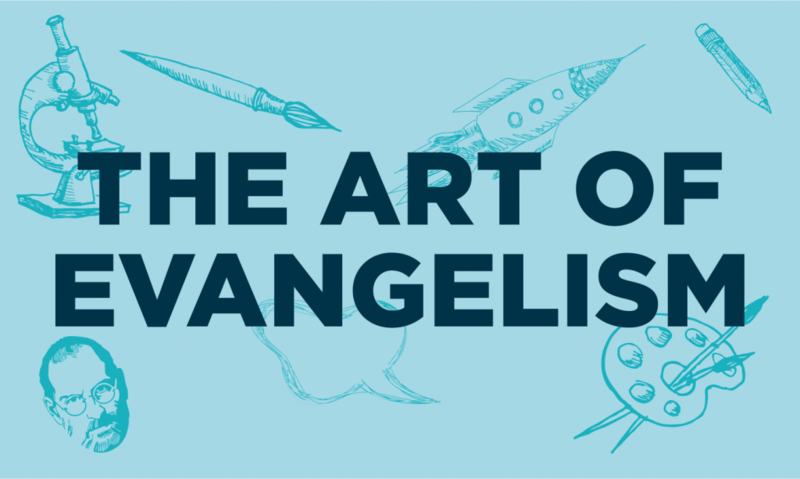 Anyone can be an evangelist, but not any brand can be successfully evangelized.